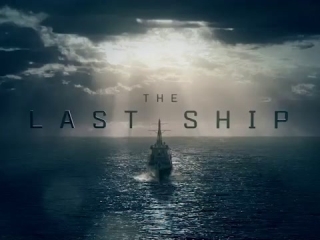 So the is this show on TNT called “The Last Ship” that is directed by Jonathan Mostow and based on an 1988 novel written by William Brinkley of the same title which I had a chance to watched -I know, I know. I should be studying- and very much enjoyed. This is the review of that show first season, the are two seasons in total so far. So what’s to like? Well….if you read the book and you rather like it best then you made not like the show very much. I, however, much preferred the show because the is a reason given as to why the world enter the state that it did. In the book it was rather um…vague. What else to like about this show? It is full of action and adventures. If you like action and adventures then this is the show for you. Also if you like to see people pitted against each other and try to survive well then this show is for you as well. If you like military drama…? Well then grabbed a bucket of popcorn and have yourself a show. So what’s not to like? Well if you do not like gore that’s something to watch out for. In conclusion this is a very nice show- so far from what I have watched- to watch. I give it a 3.5 out of 5. It could have done more but at least it did a bit more better then the book in exampling a few things. That’s all thanks for reading.